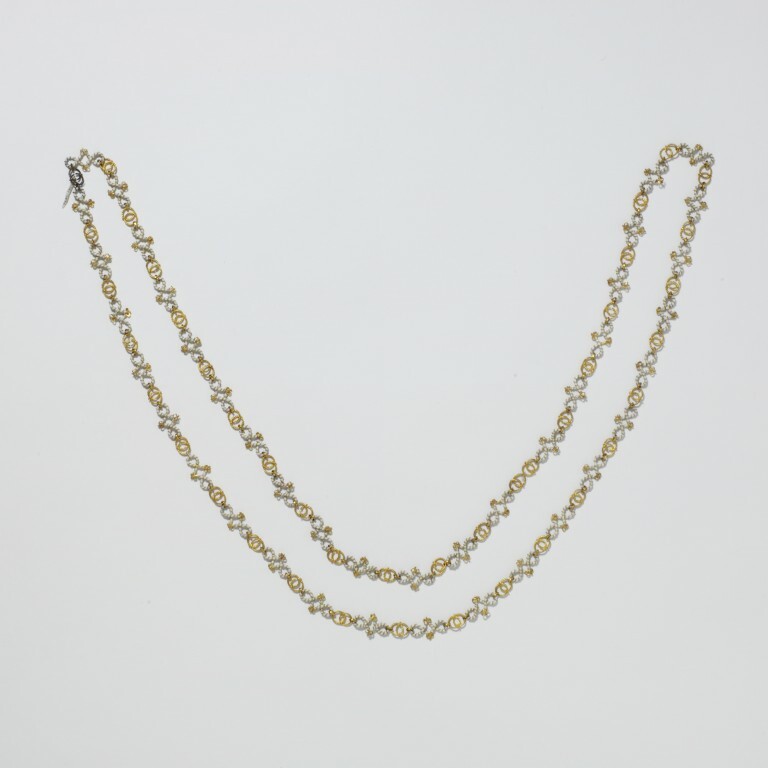 This chain is part of the Cheapside Hoard, which was discovered in 1912 when a house near St. Paul's Cathedral was pulled down. The hoard is thought to have been a goldsmith's stock which was hidden under the floorboards of the house in the seventeenth century. The majority of the hoard is at the Museum of London. Gold enamelled in white and green. London, 1590-1620, (part of the Cheapside Hoard).